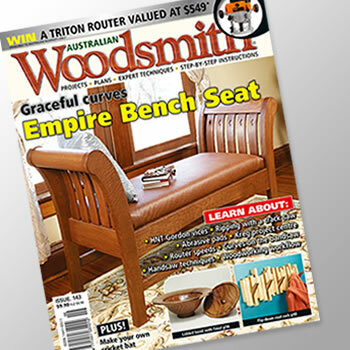 Australian Woodsmith is a magazine that’s produced for woodworkers by woodworkers. Our publication comes packed with all the tips and tricks from experts with years of experience. We include templates, plans and projects that will keep you busy in the workshop for hours, or at least until the next issue hits the newsstands! This site is the place to come for additional material, to subscribe so you don’t miss a single issue, or to order back issues in case that project you were intending to build was in the issue eaten by the dog.